The show is called “Tosh.0,” and you can be sure updated versions that are smarter, more sophisticated and more user friendly will be available in the near future. That’s because Comedy Central would be insane not to fill increasing consumer demand with its hot new product. Even though “Tosh.0,” which debuted in June 2009, is not delivered via disks or downloads but rather in prime time on Comedy Central, the web-centric half-hour laugher starring stand-up comedian Daniel Tosh is showing up on an increasing number of screens. “ ‘Tosh.0’ is one of those cable programs that comes along every so often and hits a bull’s-eye with its target audience,” explained Rick Kissell, who covers prime-time ratings for Variety. “While crime dramas on broad networks like TNT’s ‘The Closer’ and ‘Rizzoli & Isles’ might draw three times as many viewers, their viewership is not nearly as concentrated among target demos as younger-skewing programs on more niche-oriented cable networks. The format of “Tosh.0” borrows from other shows that look for videos on the web to skewer. 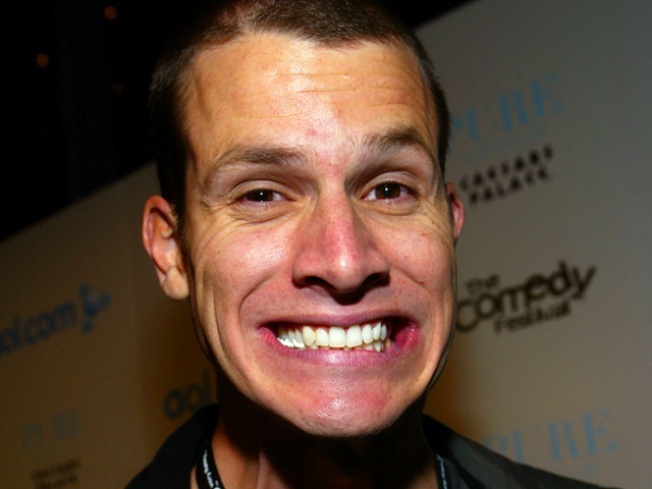 But Tosh has the advantage of applying his own unique brand of good-natured snarkiness that has been honed from years of performing standup in clubs and at colleges. The show also has regular features like its “Web Redemption” segment, in which somebody is given a chance to atone for embarrassing themselves on video. “I really do think so much of the success of the show comes from Daniel and his particular take on these viral clips, the stuff from the web that gets passed around,” noted Charlie Siskel, executive producer of the show. “People come to expect something different. The show highlights web videos both prominent and relatively unknown, then uses Tosh’s special brand of comedic vivisection to rip them apart for laughs. The result often can be that a video that might not have been noticed before suddenly has its 15 minutes of infamy. Much of Tosh’s appeal rests in his amiable comic-assassin persona. He is at once charming and twisted — not always a winning combination — yet he manages to pull it off with aplomb. John Wenzel, who covers comedy among other topics as an entertainment writer for the Denver Post, had seen Tosh’s standup act and interviewed him before “Tosh.0” had even aired. “He has a sharp sense of humor,” Wenzel said. “In most comedy nothing is sacred, but he’s relentless when he goes after things. He just twists something until it’s red-faced and sweating. And that evil twinkle in Tosh’s eyes? That likeable leer? Does it help to ease the trauma of his well-placed jabs? Yet no matter the host or the manner of delivery, the show is working because it apparently satisfies a fundamental comedic requirement: the creation of guffaws from the bellies of viewers. Michael Ventre is a frequent contributor to TODAYshow.com. He lives in Los Angeles.